Looking to make fitness a priority this summer? Want to renew your sports wardrobe? Engaging in a new sport and are looking to invest in some good merch? Playtime Sports & Games can most definitely help. Located in Egmore, this tiny store is loaded with sports merch of all kinds. Sports apparel, injury prevention equipment, indoor and outdoor sports accessories, football shoes, they have it all. 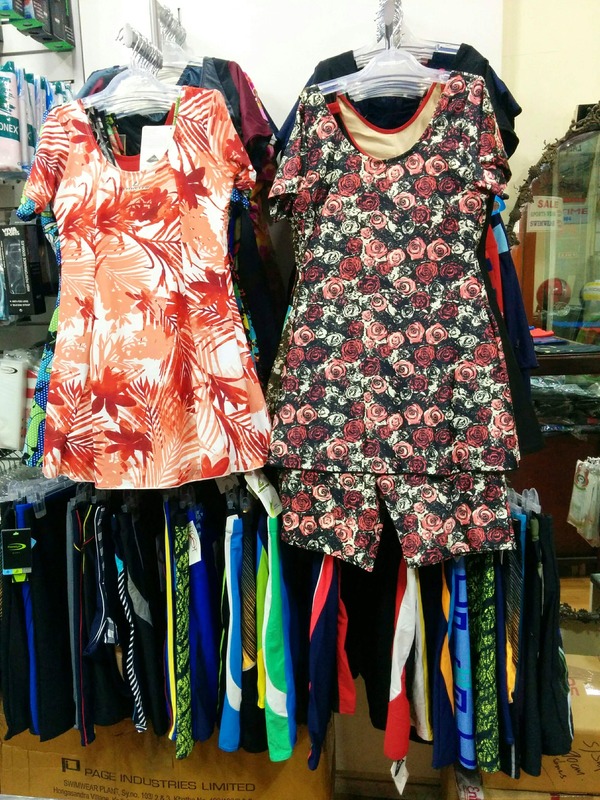 We particularly liked their swimwear collection for both men and women that starts from about INR 500 and comes in many patterns and prints, occupying nearly a third of the store. Featuring both Indian and international swimwear brands, you can choose from plenty of sizes here. They also have regular jerseys, t-shirts, gym shorts and slip-ons for your workout wear starting from about INR 450. As for the sports accessories - you can find everything from table tennis and badminton racquets to knee caps, fitness tubes, sippers, dumbbells, weight straps more. You can also pick out basketballs, cricket balls, footballs at Playtime Sports & Games, all available in local as well as international brands. They also have skipping ropes, weighing scales, weight gloves, gym balls at discounted prices. Pretty cool isn’t it?